Description: sewing encompasses a variety of forms: dressmaking, embroidery, millinery (hat making), quilting, needlepoint, crocheting, knitting, and other activities involving needle and thread. Sewing can be a practical endeavor (as a means of producing a needed product) or a leisurely activity that is more craft-like or entertaining in nature. Required Resources and Training: The basics of sewing can be self-taught but many sewers choose to train through an apprenticeship or via trade or fashion schools. Associated Stereotypes and Perceptions: Sewers are usually portrayed as females; it would be nice to see other people groups represented in this field. Closely related to sewing, fashion design is a popular skill or hobby that is quickly becoming cliché among female protagonists, particularly in YA books. I love it when that talent is directly involved in the plot–the potter who uses the biggest pot to hit his foe over the head at the critical moment. Something like that. The MC in my middle-grade historical is a 12-year-old boy who learns to sew, and that skill is very important in the story. I think readers will find it in interesting addition to his skill set and may decide it would be a good thing to learn. Thanks for another useful post. I currently am writing an MC who sews; it’s really fun to pull up fabric imagery and fun sewing related words. I brainstormed a zillion titles with sewing themes so it’s definitely on my mind! 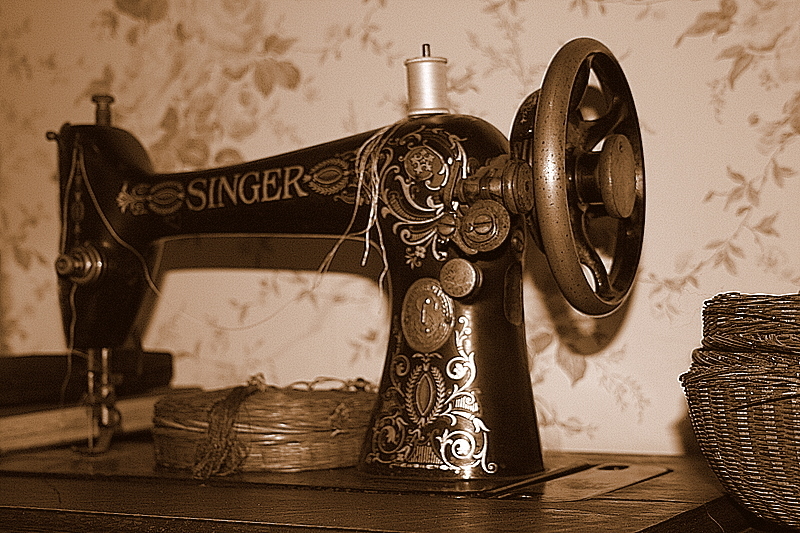 I’ve sewn quite a bit through my life, so can really appreciate this one, and look at that beautiful, antique machine! 🙂 Probably works better than most that came after it lol. Another great post, Becca 🙂 Thank you! You spend so much time on this, it’s a wonder you get any of your own writing done! I’m a male, and I was self-taught as an upholsterer in a wheelchair shop, doing custom seating. At the time I was doing this, I was one of a few pioneers in custom wheelchair upholstery. We used a lot of Naugahyde and a commercial-duty sewing machine. I think a lot of upholsterers are males. I needed this skill for my one female character because she’s in a time period that making your own clothes is a necessity. I did need to research spinning wheels though for her. That was fun! !